Click here to go to Dragons Categoryor Draw a Cartoon Dragon Below. Wondering how to start Drawing a Dragon? Whether fierce or funny, Dragons are a blast to Draw, there are many versions of this mythical creature in the world. There are Chinese Dragons, Medieval Dragons, and even Komodo dragons. Dragons have become famous in songs and movies. There is the song "Puff the Magic Dragon" by the Beatles. There is the Magical Dragon from the movie "Pete's Dragon" and there is the Dragon Smaug from J.R.R. Tolkiens "The Hobbit." There is no doubt that dragons capture our imagination. The Motion Picture "How to Train your Dragon" has been a big hit in theaters, making drawing dragons more popular than ever. I think one of the scariest dragons of have ever seen is the dragon from the movie "Sleeping Beauty," and I really like the girl dragon that falls in love with Donkey in the movie Shrek! Artists through the centuries have drawn dragons with bodies that were generally based on known creatures. A dragon's body often takes the form of a large lizard or a dinosaur. It may take the from of a lion or other large cat. A Dragon's wings are usually depicted as large flaps of skin rather than being covered with feathers. I like to imagine dragon's wings like a those of a pterodactyl or a very large bat. Once you feel confident with this lesson, you can try to make up your own version since dragons can take so many forms. 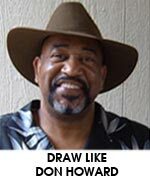 Will you draw a dragon with a large, fierce head and a long tail. Will your dragon have wings? Will it be breathing fire? 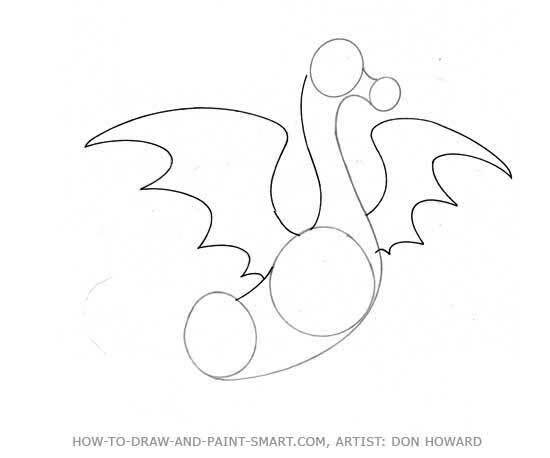 Tip: Check out the flames lesson if you Want to draw a fire-breathing dragon! Many stories of Dragons indicate that they have hard scales protecting their bodies. This makes them very hard to kill. Killing a dragon usually requires plunging a sword between these hard dragon scales or finding a place where a scale has fallen off for some reason or another. In the book and subsequent film "Eragon," dragons are friends to people and they bond with their dragon rider. This is a life-bond and if the dragon rider dies, so does the dragon. It would be very exciting to ride a dragon don't you think! 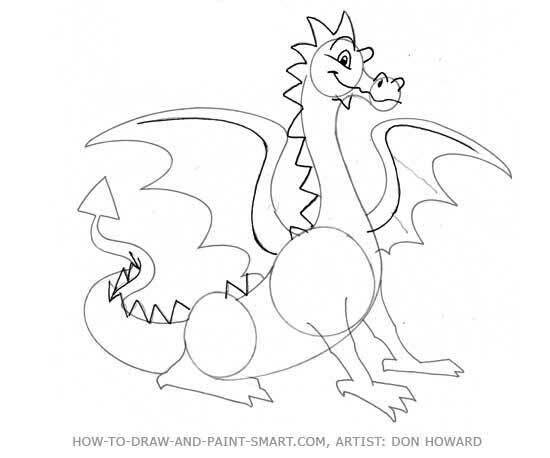 Are you ready to get to going with "How to draw a Dragon" Well follow these steps and and you will be on your way to creating your own version of this mythical monster! 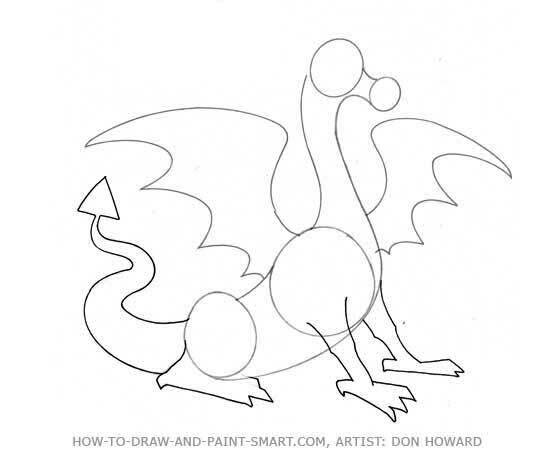 Now let's get started with "How to Draw a Dragon." 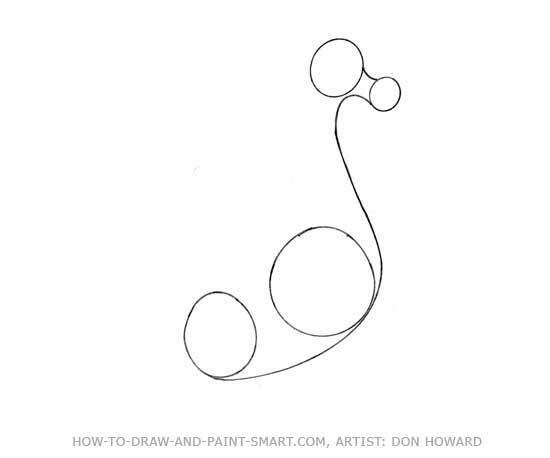 Draw circles to position the Dragon's nose, head, Upper and lower body. This dragon is facing to the right. Connect the circles with a curve to create the dragons's neck and stomach area. Now draw a curve fro the dragon's back and give your dragon drawing some wings. Let's finish off the dragon's powerful tail and give him some legs. Add some triangular ridges down his back and detail the wings. How to Draw a Dragon face: It's time to give your dragon a face. This cartoon dragon drawing is of a happy dragon. Add some nostrils to the nose area and make a line for his mouth. Draw some humps for his eyes and some protruding ridges on top of the head. 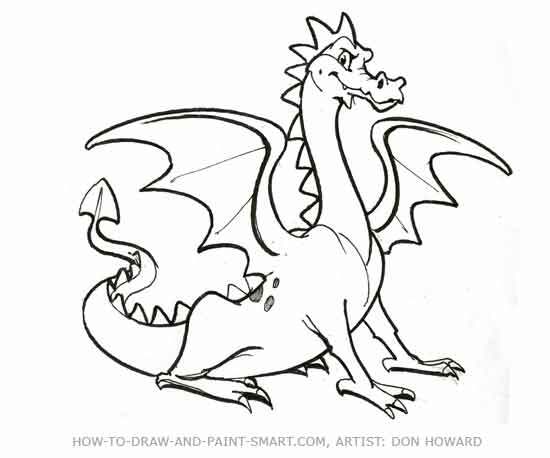 this should give you a good strategy for how to draw a dragon head when you begin creating your own dragons..
Continue to refine your drawing by going back over the edges, You can erase the lines and shapes you used to create the dragons for. Add more detail to the toes, face and tail. 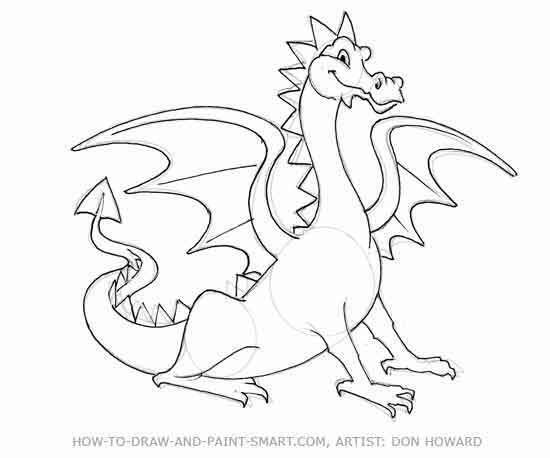 Continue to detail your dragon making some lines darker to emphasize the wings the outline of your cartoon dragon. You can add spots, or scales to your dragon if you like. "How to Draw a Dragon!"